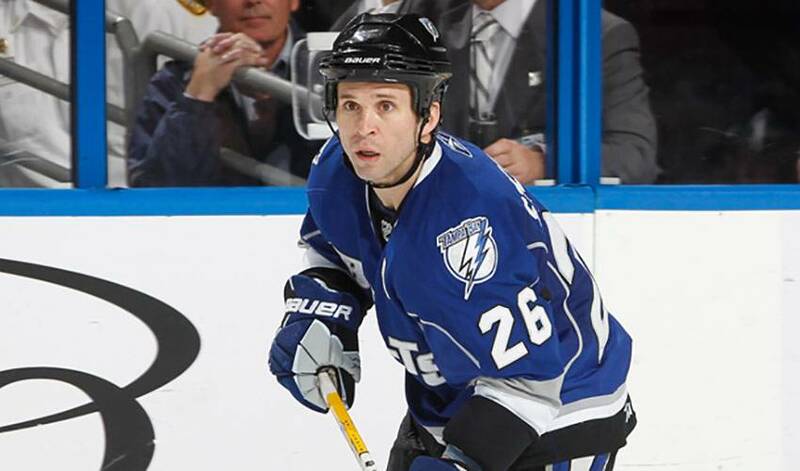 When Martin St. Louis embarked on his NHL career, he hoped to be a “regular” one day. But with nearly 900 regular season games and an enviable list of trophies with his name on them, regular doesn't even come close to describing the Tampa Bay forward. Another 30-goal campaign, a 90-plus point season and consistent play throughout the year. Impressive stats, to be sure, but hardly a surprise when it comes to one of the game's most respected offensive talents. St. Louis was a standout with the University of Vermont Catamounts, playing alongside Boston Bruins goaltender Tim Thomas, and on the same line as former Tampa Bay Lightning teammate Éric Perrin. He was an NCAA All-Star and three-time Hobey Baker Award finalist for college player of the year. St. Louis tops the list of Vermont scorers in career points (267) and assists (176), and ranks third in career goals (91). In spite of his lofty numbers and big-time talent, St. Louis, shockingly, wasn't drafted, and signed as a free agent with the Calgary Flames in 1998. It was with the Tampa Bay Lightning, the team he signed with after the 1999-2000 season, that St. Louis emerged as bona fide star. In 2003–04, St. Louis made everyone take notice, leading the NHL in scoring with 94 points. He scored an overtime goal in Game 6 of the 2004 Stanley Cup Finals, helping Tampa Bay defeat the Calgary Flames to give the Lightning their first championship. He was honoured with both the Hart Memorial Trophy as the most valuable player to his team and hockey's most cherished individual accolade, the Ted Lindsay Award, as the league MVP as voted by his fellow NHLPA members. St. Louis became the first player since Wayne Gretzky and only the eighth in NHL history, to win the Art Ross Trophy, the Stanley Cup, and the Hart Memorial all in one season. For as much as he does on the ice, St. Louis, who was part of the Team Canada squad that won gold at the 2004 World Cup of Hockey, is also a huge contributor within the community. Aside from visits to hospitals and other appearances, the father of three is teaming up with fellow Lightning forward and friend Vincent Lecavalier, along with other Tampa players, to take part in a special upcoming event. On April 7, close to thirty Tampa Bay business leaders, media personalities and professional athletes, including Lecavalier, Marty St.Louis, Ryan Malone, Victor Hedman, Teddy Purcell, Mike Smith and Nate Thompson of the Lightning will be cutting it all off and shaving their heads in order to raise money to be donated to the Pediatric Cancer Foundation and the Vincent Lecavalier Pediatric Cancer & Blood Disorders Center at All Children's Hospital. “It's for a great cause and something that touches all of us,” said St.Louis. “We're obviously very fortunate in so many ways and to lend our support to this, it's important to us. When St. Louis isn't busy in the community or unwinding at home with his family, his focus is on playing his part in delivering another Cup to Tampa. With someone like Martin St. Louis in the lineup, there's every reason to feel that way.